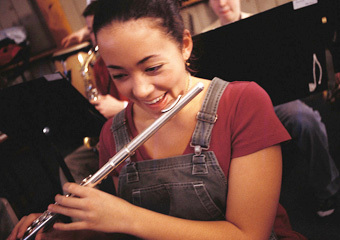 The following activities are great for families, teachers/students, community groups and youth! When an activity is engaging AND educational it is often also a very useful tool. The following drug prevention activities are easy to use and fun to discuss and can be easily adjusted to groups of differing ages. Hold a family meeting to discuss drugs and drug use. Develop an agreement about drug use within the family and have all family members sign it. Discuss how various drugs are portrayed on television and in the movies. Instruct you to watch television, mix up the shows, and record the number of references to alcohol, tobacco, or other drugs and how each reference was portrayed. Have each student or young person share the type of television show he/she was watching, the portrayal of substances and how he/she thinks this might impact youth. Similar projects can be carried out with radio, magazines, music, newspapers, billboards and other visible advertising. Discuss anti drug advertising and the level of effectiveness on the behaviors of young people. Have students develop their own campaigns. Hold special anti drug activities… especially during Red Ribbon Week in October. Have students write and act out skits showing negative effects of alcohol, tobacco and other drug use… include ways to avoid use. 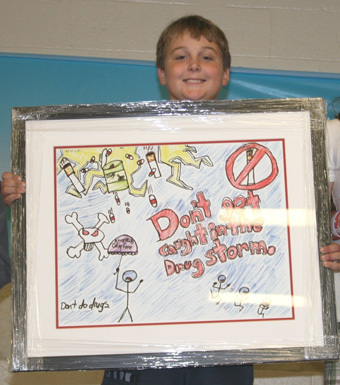 Have students brainstorm ways to say “no” or to avoid alcohol, tobacco or drug use. Have students write essays about their goals and how using drugs could interfere. Have students brainstorm and create a list of why young people or adults would start using alcohol, tobacco or other drugs. Then have them develop a list of consequences to drug use. Finally, have them develop a list of ways to be drug free. Discuss sports and other activities your youth enjoy and the specific body systems needed to participate in these activities. Then talk about the physical effects of specific drugs and how they would impact a person’s skill level for those activities. Have students make a list of common stressors among adolescents. Ask them to share ways that teens may deal with each of those stressors. Then group the stressors into helpful and hurtful coping strategies. Discuss how drug use can be a harmful coping strategy and how it can be a stressor itself. Ask students to develop a list of ways to “get high” without using drugs. Some ideas are; playing sports, laughing with friends, listening to music, watching TV or movies, doing volunteer work, dancing, singing, acting… following a passion. Many more ideas will surface as you being to use some of the above. Keep young people talking and thinking about destructive behaviors. The more knowledgeable they are the smarter their decisions.